“Many people drive right through the park by default, not stopping to notice what’s really here,” Duffy explained. With so much activity nearby, the Alliance wants to ensure that those who live, work and shop in the area realize the opportunities in their community. That’s why the group has increased efforts to promote recreation and trail opportunities, and seeks to further support trail planning projects. “As a member of the Circuit Coalition, we are working actively to complete The Circuit, Philadelphia’s regional trail network, so that it’s possible and safe to bike or hike to Valley Forge from anywhere in the region,” Duffy said. According to Duffy, they are also reaching out to recreation groups and they are speaking with local businesses to increase awareness for existing trails and for trail planning projects. They see there is more work to do and they want to increase efforts beyond the support they have shown in the past. Over the last 15 years, the Valley Forge Park Alliance has shown support for a new pedestrian bridge over the Schuylkill River that connects a heavily used regional trail to the park’s trail system. This bridge provides one of a very small number of crossings on the 135-mile river and allows pedestrians to safely cross within the park or commute to surrounding areas. To show support for the bridge, the Alliance ran a successful naming contest that invited local communities to choose a name that reflects the history and natural setting of the bridge site. 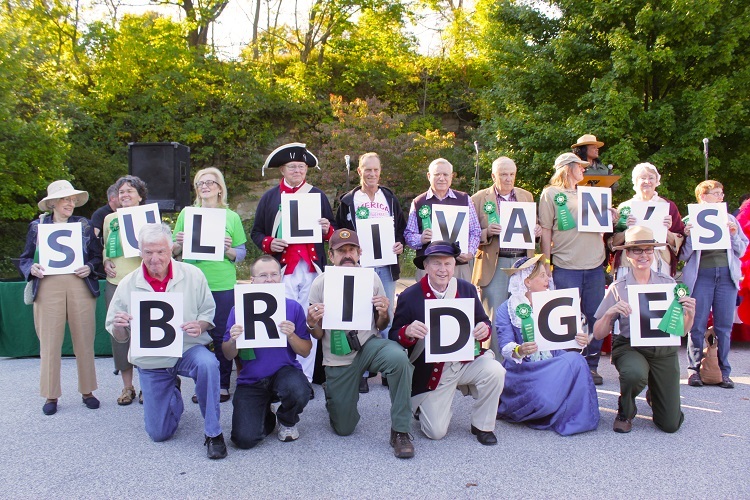 As a result of the contest, the bridge was named for the Revolutionary War General John Sullivan, who was charged by George Washington to build a wooden bridge across the Schuylkill River during the winter encampment. According to Deirdre Gibson, Chief of Planning and Resource Management for the park, the Alliance played an essential role in making sure this bridge project happened. Gibson also explained that the Alliance helps the park throughout the year. "As a nonprofit that represents the community, they can more easily speak to potential partners such as local businesses and corporate headquarters. They are essential to our outreach and partnership efforts. And with over 2000 members, the Alliance provides valuable feedback from the community to park staff. " Gibson and Duffy both said their partnership efforts are not so focused on increasing visitation but on increasing awareness of the opportunities available to visitors. "For those interested in the historical aspects of the park, those opportunities are well known," said Gibson. "We want people to choose Valley Forge for the rich history but we also want them to know there are opportunities to learn about and enjoy the important natural resources here. With the help of the Valley Forge Park Alliance, we want to make sure those stories about the natural landscape are told as well." 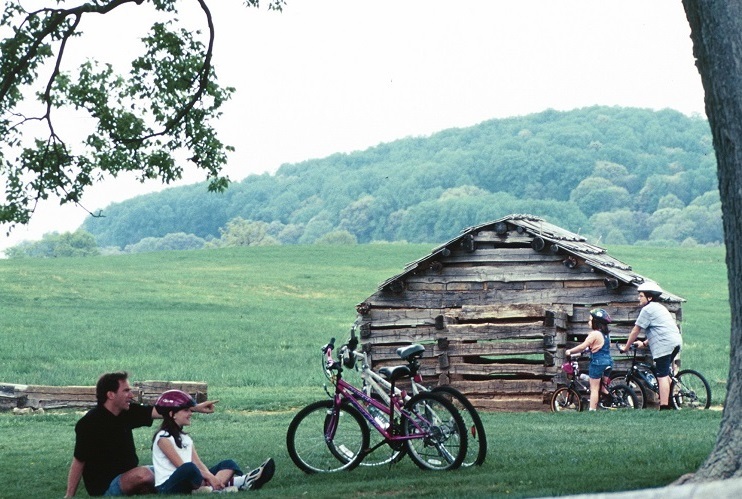 To learn more about the Valley Forge Park Alliance, visit their website at http://vfparkalliance.org.